Spring is here and Easter is on it’s way! Do you have big plans for the holiday? No matter what occasion it is, we always enjoy celebrating with family. This year, not only will we go to church, enjoy a meal, and hunt for eggs, but Colby even has plans that go well into the evening. He bought an inflatable outdoor projector screen at Best Buy for a family movie night! Plus, since Best Buy has an expanding selection of kids and family movies, we were able to grab a variety of movies to watch through the night. We will get the evening hopping with the 2011 Easter-themed movie, “Hop” and continue through the night to our favorite new release, Sing! It’s bound to have everyone up dancing and moving in order to wear them down for bedtime! I can’t wait to use the screen in our new backyard! There is something about the combination of cupcake, frosting and marshmallows that I can not resist! Plus, they look super fun and are easy to make. Make cake mix per box instructions for cupcakes. Bake and let cool. Frost with fluffy white frosting, or any flavor of your choice really. Cut an X into the top of each marshmallow. 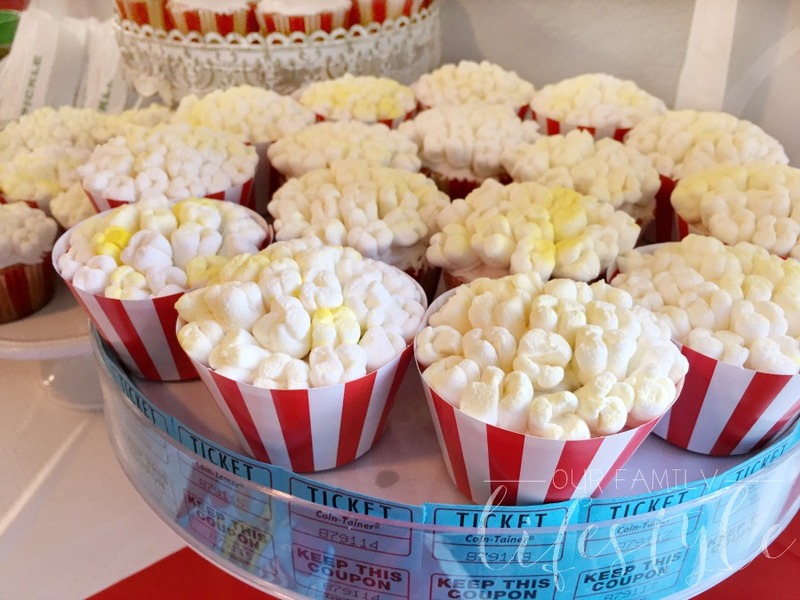 Top cupcake with marshmallows—snipped side up—to create a “popcorn“ look. Spray yellow food mist lightly on top of the marshmallows for buttery effect (completely optional, of course). Wrap with movie-themed cupcake wrappers (again, optional) and serve! Simple and fun, right? And they taste great, so there’s that! What’s your best family movie night recipe? Find the kid movies you need to make your next next family movie night a success at Best Buy! 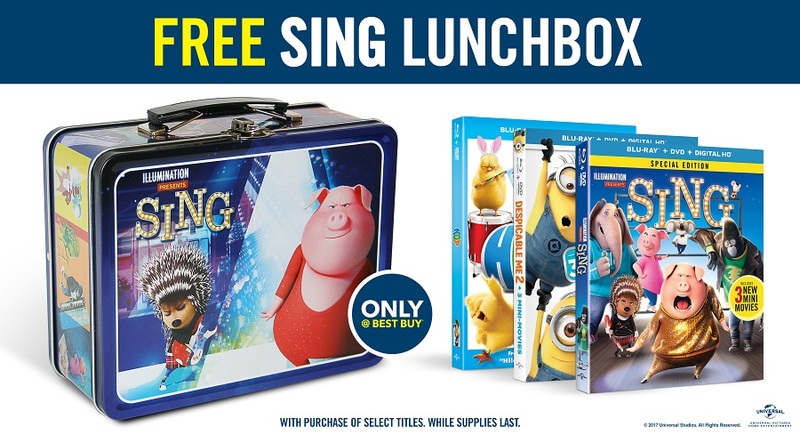 For a limited time, when you purchase select movies at Best Buy, you will get a free collectible Sing lunchbox. PLUS, you can also get a $5 Best Buy gift card when you spend $25 on select movies. Hurry while supplies last!